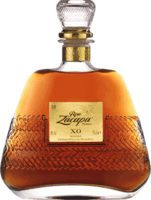 truely a good rum This rum is so different from the rest if the Zacapa family. Heavier, it does not have the classic alcohol aftertaste. Love it. Brugal 1888 This is a nice after dinner rum straight out of the bottle. Really really smooth, a bit dry, but the sweetieness is balancing out fine the dryness. Zacapa Limitada 2014 This rom is very nice. Heavy oiled complex rum. It is absolutely worth all the money. The strong alcohol halt is almost hidden in this rum. My 90 year old Grandmas favorite This rum is round complex and have a nice sweetness to it. It has this "just a little more I the glas then it's OK" simply can't stop drinking it. 1824 smooth but thin rum Nice tasty, smoky, and oaky rum. But a little to watering (thin) for me. Smooth Rum for the money Nice smooth rum, with a little bite at the end. Not to expensive and also go well as a mixer. Really good spiced rum. This nice rum is light, spicy, lean and havet the taste of burned sugar, vanilla and oak. It's a really good sipping rum. Ron Millonario 15 A little to sweet for my taste. But i like the almonds, and tropic dried fruits. Really good mixing rom This rom is really good for mixers or cakes.The aftertaste is to alkoholic for a sipping rum, I think. I did expect more! I did expect more for this rum, as all is talking so good about it. It is really good for a mixer, not straight up for me.